I'd probably just yell at LP and Jax etc over facebook and not these forums. I'd simply drop this site off my browsing cycle and be content with AoKH and HGMM. They're a stylistic compromise for people with small screen/low resolutions so that you can be lazy designing your site, not requiring it to be so flexible. It's become something of a common practice on websites and it basically amounts to designing the website to be a certain, relatively low horizontal width and then centering it and filling up the rest of the screen with empty space. It can look okay, albeit wasteful when done well but it's quite awkward when shoved on top of (underneath actually) this ancient forum software. I'm not sure this will be finished by the end of the year. I can give you guys a hand if you like. Just to get this thing thing finished off. So, uh... what is your favorite color of psychedelic elephant? Maffia hasn't been for a while and I think elpea is genuinely dead. Maffia is still around, he just has quite a bit going on in RL atm, LP I have no idea where he is. So, Maffia - now we all know you're not dead, could you please enlighten us on your favorite color of psychedelic elephant? You should probably also pop over to the Arena. Think dream sequence from Dumbo. 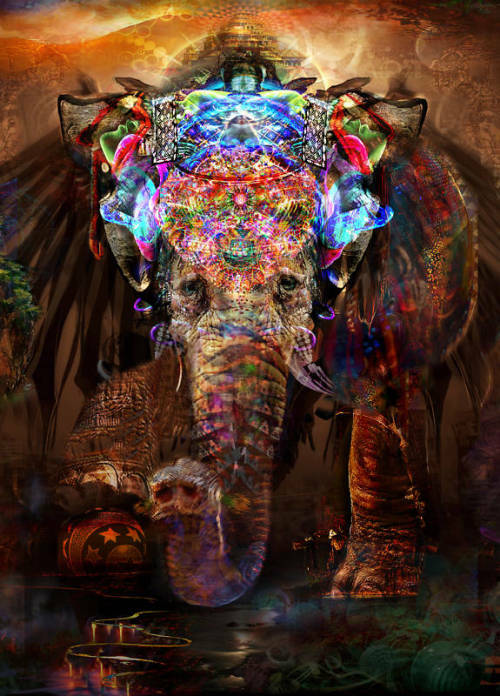 Dumbo is a lovely psychedelic elephant when he / she goes all psychedelic. What make you of this elephant? That elephant looks a bit sad. the colour around its head makes it look royal or something but the ball under its foot makes it look like it is in a circus. the colour around its head makes it look royal or something but the ball under its foot makes it look like it is in a circus. See yeah, exactly. That image can be read so many different ways. It's so trippy, maaaaaan. Major is green! It is true. The fact is true, true, true - truer than true. Seriously, congratulate him already. IN THIS THREAD!!! holy guacamole it's a green Finn! I know right. He's done well. The last 15 or so posts (going back weeks) consist of staff members, ex staff members, and whatever scragins is. We've effectively hit the lowest low point of the only active members being the site owners. ... and then this thread was over.